DQ - Unplugged: How can hundreds of millions of something - anything - be scarce? How can hundreds of millions of something - anything - be scarce? I sat next to Jim Rogers on a panel once (so you don't think I'm just making this up), and he told me that right up there with all the other unstoppable so-unbelievably-massive-you-don't-think-it's-possible changes sweeping the world is how China's gender imbalance will soon make young Chinese women among the world's rarest commodities. Yes, all hundreds of millions of young Chinese women will be relatively scarce. Hand in hand with this increase in the market's shadow price - economic power - will be a steep escalation in the real power of women, both personal and political. 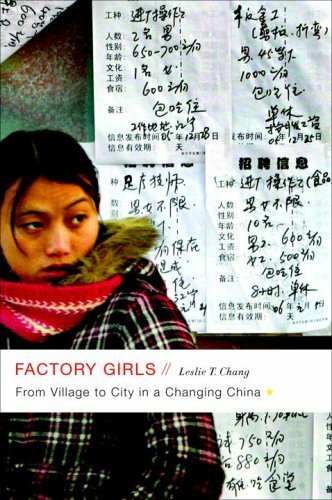 This is not to deny the harrowing experiences documented in Leslie Chang's Factory Girls but there is, at the same time, no question that there has been a dramatic upgrading of the position of women throughout Asian society, and therefore of women worldwide. No legislation was involved. No protest movement occupied a city square. All this occurred simply through the power of economic growth, the balance between demand and supply, and the force of market equilibration. If you don't yet see this, just come take a look at the confidence, poise, and ambition of the tens of thousands of young Mainland Chinese women studying in secondary schools, junior colleges, and universities in Singapore, elsewhere in Southeast Asia, or in the West. Come take a look at LSE, for that matter. Perhaps once again China's headlong rush for economic growth and the staggering power of markets adjusting to demand and supply in the hundreds of millions will quietly, brilliantly do what the rest of the world has found so difficult. China lifted over 600 million people out of extreme poverty over the last quarter of a century, when no one else was looking - and therefore when no one was giving China foreign aid or telling it how to run its schools. This time, for elevating yet another disadvantaged community will China, once again, quietly using just growth and markets achieve more than all other efforts micro-managing around the edges of global poverty? PS Many readers, of course, quickly link in their mind this gender imbalance to the many horrific tales one hears emerging from China's one-child policy. If 119 boys are born for every 100 girls - as usually reported for China - then that works out to 840 girls to 1000 boys. Given China's population of 1.3 billion, this means 24 million Chinese men of marrying age without spouses by 2020. It is instructive if grim to note this gender bias is seen as well in the very differently-governed India where the 0-6 age group now has 914 girls to 1000 boys (down from 927/1000 in 2001), confirming how the country has become "a terrifyingly hostile place to be conceived or born a girl", pointed out to me by Vinayak @kayaniv.